Now that the warmer weather is here, you and your partner may be enjoying the chance to exercise outdoors! The risk of heat illness increases when exercising during the hot and humid weather. This is because you may not be able to produce enough sweat to cool your body down and the higher humidity may prevent the evaporation of sweat. We have some tips to make sure that you get the most out of your exercise routine and to help you prevent this from occurring. 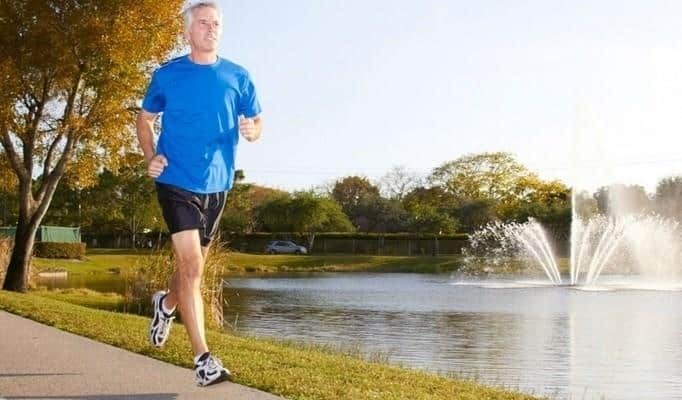 If your regular exercise routine involves jogging or walking, you may want to change your pace, slowing it down to accommodate the warmer weather. As your body becomes accustomed to the heat you can begin to increase the pace and length of your workout. To avoid the risk of heat illness throughout summer, it’s important to avoid exercising during the hottest part of the day, this is between 12pm-3pm. The cooler early hours of the morning are a good time to exercise when it isn’t too hot, alternatively you can take advantage of the daylight saving hours, exercising in the evenings. Remember to apply 50 plus sunscreen regularly whilst you’re exercising, especially if it’s over a long period of time. Wear a hat, the most effective type of hat that can be worn to block out the sun is a wide brimmed hat. Our Physios are able to provide sports Physiotherapy treatment for you and your family, to find out more about the services that we provide press this link.